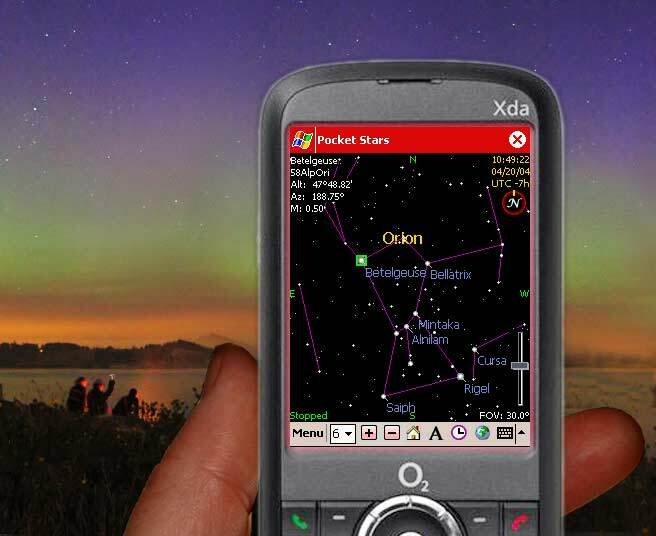 Pocket Stars - Astronomy software for Windows Mobile Pocket PCs, Smartphones, and desktop Windows. Pocket Stars is a fun, fast, high accuracy star chart, astronomy reference, celestial navigation tool, and guide to the heavens. Pocket Stars is available in three versions. The PDA and PC versions are available in English. Compare features of all 3 versions. 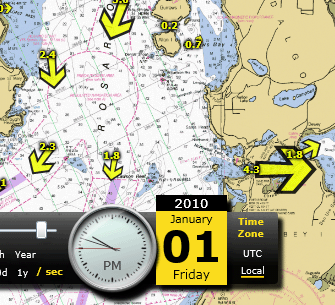 I've recently been working on a new site to display animated tides and currents overlayed on NOAA Nautical Charts. 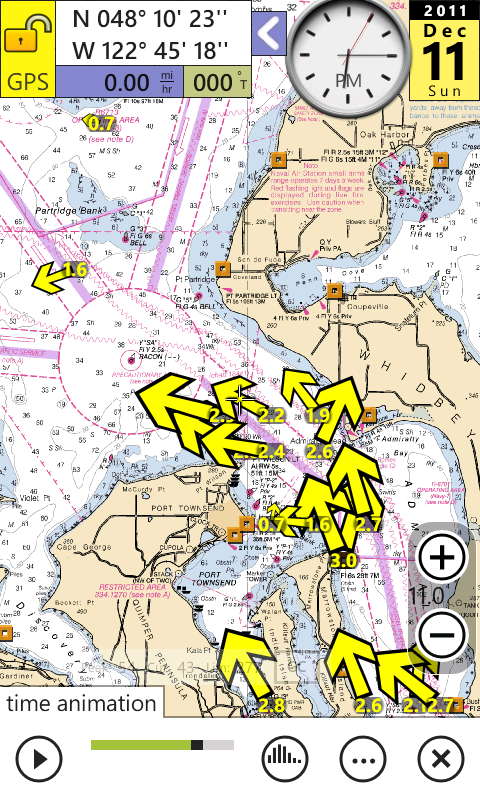 DO NOT USE FOR ANY FORM OF VESSEL NAVIGATION! Note that you can change the speed of time animation and the transparency of the charts. for Windows Phone 7 and 8. While working at Microsoft, I designed much of the video capture infrastructure present in Windows 3.1 / 95 / 98 / 2000 / XP. Visit this page for historical information on video capture in Windows, and to download additional tools used for WDM capture driver and DirectShow development. 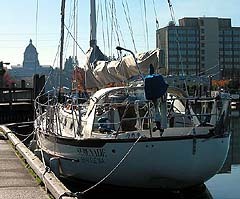 Serenade is our 40' Crealock Pacific Seacraft sailboat. "Sailboats are like RVs without the stigma." Click here to view pictures of our trips to Alaska, around Vancouver Island, and specifications for Serenade. I'm always willing to entertain custom programming projects. The trial version of Pocket Stars is fully functional for 15 days. After 15 days, some features are disabled if you don't purchase a registration code which permanently unlocks the software. If you're not delighted with Pocket Stars, we offer a no-quibble refund within 30 days of purchase. Includes comets, display momentum, and updated user interface features.